We J.P Nagar Medical and Physiotherapy Centre, opened a New branch at Arekere Mico Layout (Landmark near to L &T Southcity Apartment 1st Gate ), We will work with you to manage your injury, pain and get back a pain-free life with a full range of movement through pain relief, identifying and addressing the underlying cause of your pain.J.P Nagar Medical and Physiotherapy Centre is one of the leading Physiotherapy centers in JP Nagar, Bangalore since 2012. We have a team of extremely talented physiotherapists working to make your life better. Helping you to achieve your goals and be the best you can. 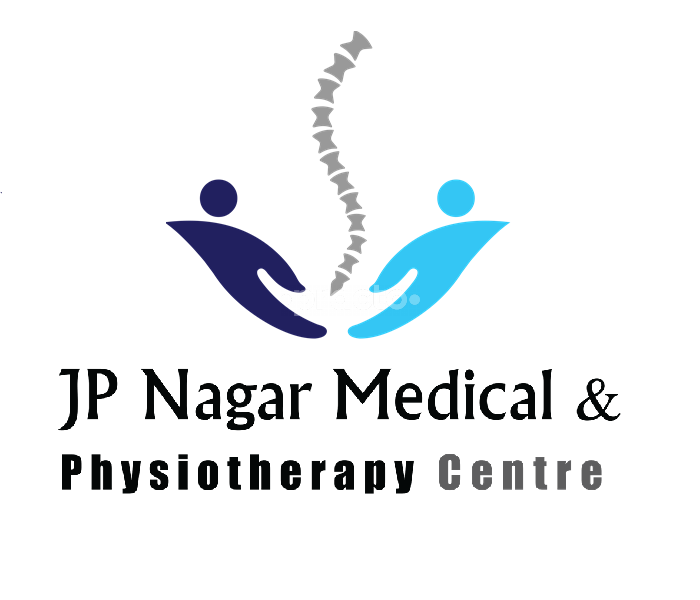 J.P. Nagar Medical & Physiotherapy Centre was established to provide comprehensive medical & physiotherapy services under one roof. We are driven by the professional desire to produce quantifiable results with our clients facilitating their recovery from injuries. J.P. Nagar Medical & Physiotherapy Centre has successfully treated more than 5000 patients suffering from various pain conditions. Many of our patients have been able to reduce their pain and return to their normal lives. Patients receive here the safest and most effective physiotherapy treatments available. They help patients rediscover life and recover faster. Our philosophy is to place you at the center of our care with the holistic approach to treatment.Home care physiotherapy services available in our center by our eminent physiotherapists.At J.P. Nagar Medical & Physiotherapy Centre, They are focused on providing physiotherapy services with the highest levels of patients satisfaction.How do We do it:We assess & understand the root cause of your condition.We prepare an individualized treatment protocol pertaining to that particular individual & the body parts affected.We educate the patient & the family about the condition; explain the importance of compliance from the side of the patient, address any doubts and questions.We reassess on each follow-up, progress and/or modify according to the requirement.At JP Nagar Medical and Physiotherapy Centre we pride ourselves on providing excellent physiotherapy treatment in a highly professional and uniquely personal clinical setting. Consulted Dr.Vivek for my shoulder injury which was not solved by Ayurveda since six months from my native ,within a week of his treatment i felt 70 percent recovery,after completing of my 3rd week i gained my full movement,Dr Adviced different exercises techniques and the effort taken by his team (Dr.Dileep) helped me a lot.A very good clinic for physiotherapy treatment .Also value for the cost and felt satisfaction i paid for the services,Thank you very much for whole team. I was soon impressed the way how she explained about my condition. I had visited many physiotherapy clinic s and even corporate hospitals for my back and knee pain.but my problem was not solved by anyone. Multiple visits to orthopaedic surgeons didn't help..A friend of mine recommend Dr.vanitha's physiotherapy clinic. I'm soo glad she did ! After the first session of treatment itself l felt drastically better. Even I have referred two of my friends here both of them got very good results. Her teammates are very professional , genuine and caring in their approach. I will recommend any one suffering from pain to this physiotherapy centre. Visited Dr. Senthil for my dad's bell's palsy treatment. Highly satisfied with the treatment provided and would recommend all to visit this center for physiotherapy treatment. He suggested 15 sessions for my dad's treatment and the results were very positive and good. He delivered what he guaranteed on day 1. The treatment was started from day one when we visited him as he don't to delay further. This center in JP Nagar is usually very crowded as every day new patients do come in for various treatment. I did not go through any review or recommendation about this center and just went as a random patient. The doctor is very experienced and provides very simple ways of therapy and exercises. The entire team (Srijan, Bhavya, Gaurav, Sabitri mam, names I remember) is very responsible and friendly. Thank you Dr. Senthil and entire team for the speedy recovery of my dad.